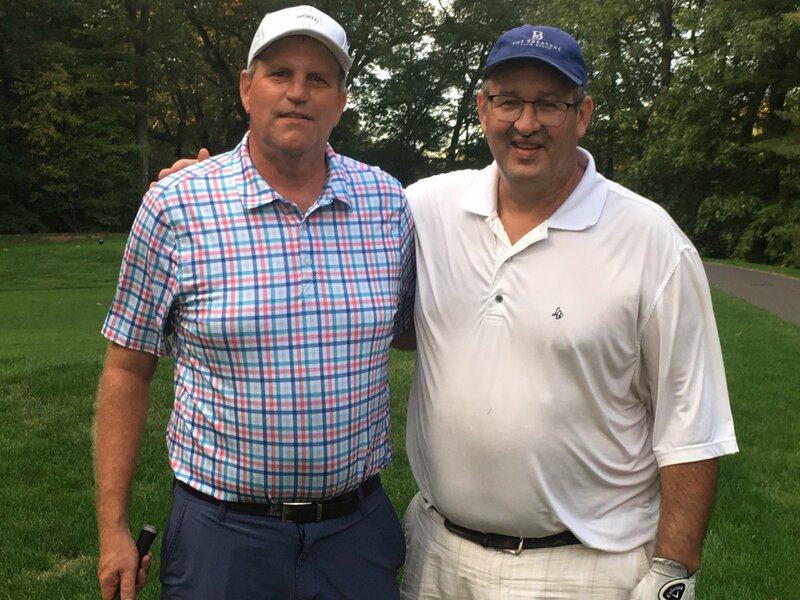 Congratulations to Tom Kirby and Scott Harger for winning the 2018 Team Match Play Championship! Tom and Scott earn an automatic #1 qualifying position for next year’s Team Match Play Tournament. Click here to see the Team Match Play qualifying standings as of 4/21/19. The Team Match Play Championship is a season long event and is handicapped at 90% for qualifying and 80% for tournament play. Teams must qualify for the championship by playing a qualifying round. Match play qualification typically takes place during the first three weeks of April (see tournament schedule for actual dates). Interested teams must declare that they are qualifying before the round, and must pay $5 per attempt (per person). Teams may attempt to qualify more than once if they have been unable to get into the field outright, or if they wish to improve their seeding. All qualifying and tournament play is from the white tees only. Qualifying for this event is based on team net best ball score. Ties in qualifying will be broken using USGA tiebreaking procedures (Last 9 holes, Last 6 holes, Last 3 holes, etc.). The best 31 match play scores will qualify for the event. The defending champions are an automatic qualifier. After the 32 qualifiers are determined they will be seeded by qualifying score. If there are less than 32 teams, byes will be awarded to the highest seeds. Handicap strokes given during the matches will be done off the lowest handicap’s course handicap. Player 2 gets 4 strokes (8 minus 4), Player 3 gets 6 strokes, Player 4 gets 8 strokes. Once the brackets have been published, you can schedule your match. Scheduling of your match is the responsibility of both teams. Matches must be completed within the indicated limits (shown on top of the bracket), otherwise both teams risk disqualification. A link containing the bracket and a master list of participants with contact information are located on this page.